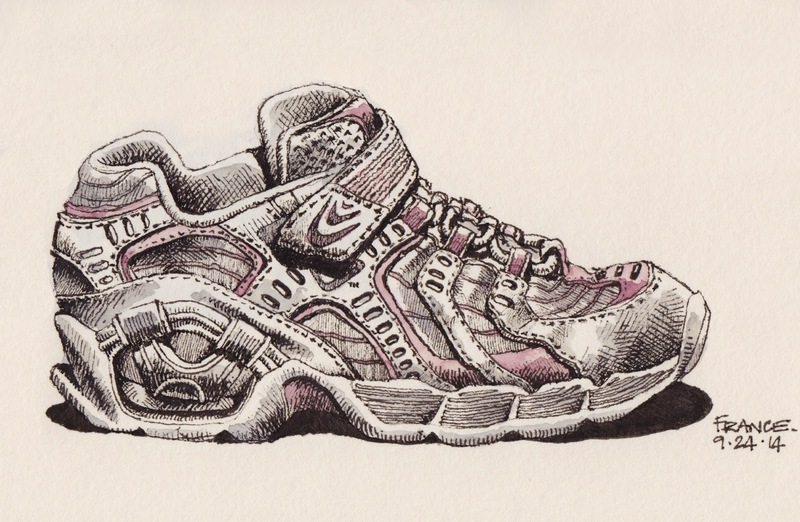 It's amazing how much I see my kid when I draw her shoes. It's not ground-breaking, but it's all about capturing the cuteness of our everyday stuff. 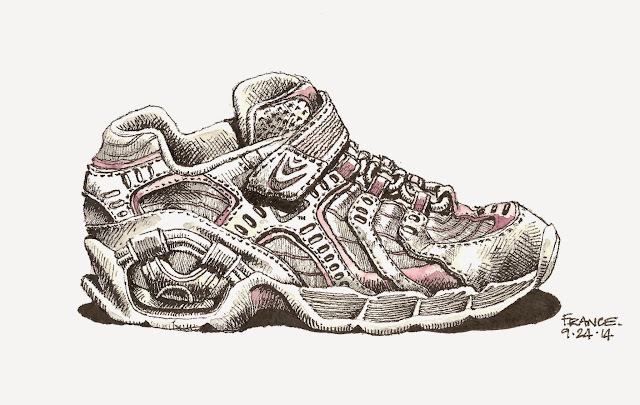 Pigma Micron 08 and watercolor in Stillman & Birn sketchbook. Look at the difference a scanner can make. The top image was scanned using an HP scanner/photocopier/printer and the bottom was scanned using my home CanoScan LIDE 700F.